[...] The idea that there is a single 'normal' language, a common currency shared equally by all members of society, is an illusion. Any actual language consists of a highly complex range of discourses, differentiated according to class, region, gender, status and so on. which can by no means be neatly unified into a single homogeneous linguistic community. [...] Even the most 'prosaic' text of the fifteenth century may sound 'poetic' to us today because of its archaism. If we were to stumble across an isolated scrap of writing from some long-vanished civilization, we could not tell whether it was 'poetry' or not merely by inspecting it, since we might have no access to that society's 'ordinary' discourses; [...] We would not be able to tell just by looking at it that it was not a piece of 'realist' literature, without much more information about the way it actually functioned as a piece of writing within the society in question. [...] All literary works, in other words, are 'rewritten', if only unconsciously, by the societies which read them; indeed there is no reading of a work which is not also a 're-writing'. No work, and no current evaluation of it, can simply be extended to new groups of people without being changed, perhaps almost unrecognizably, in the process; and this is one reason why what counts as literature is a notably unstable affair. [...] like 'practical criticism' it meant detailed analytic interpretation, providing a valuable antidote to aestheticist chit-chat [...] To call for close reading, in fact, is to do more than insist on due attentiveness to the text. It inescapably suggests an attention to this rather than to something else: to the 'words on the page' rather than to the contexts which produced and surround them. It implies a limiting as well as a focussing of concern [...] it encouraged the illusion that any piece of language, 'literary' or not, can be adequately studied or even understood in isolation. 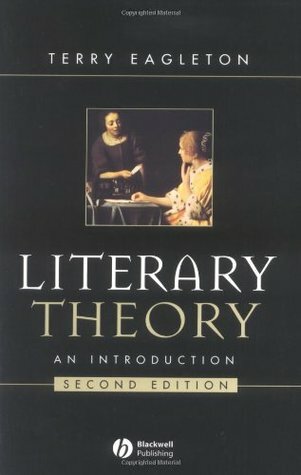 It was the beginnings of a 'reification' of the literary work, the treatment of it as an object in itself, which was to be triumphantly consummated in the American New Criticism. The New Critics broke boldly with the Great Man theory of literature, insisting that the author's intentions in writing, even if they could be recovered, were of no relevance to the interpretation of his or her text. Neither were the emotional responses of particular readers to be confused with the poem's meaning: the poem meant what it meant, regardless of the poet's intentions or the subjective feelings the reader derived from it. Meaning was public and objective, inscribed in the very language of the literary text, not a question of some putative ghostly impulse in a long-dead author's head, or the arbitrary private significances a reader might attach to his words. [...] Rescuing the text from author and reader went hand in hand with disentangling it from any social or historical context. One needed, to be sure, to know what the poem's words would have meant to their original readers, but this fairly technical sort of historical knowledge was the only kind permitted. Literature was a solution to social problems, not part of them; the poem must be plucked free of the wreckage of history and hoisted into a sublime space above it.